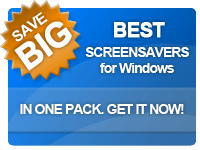 Windows Screensavers - Frequently Asked Questions (FAQ). 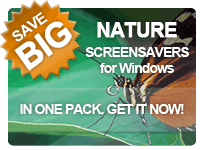 I ordered the screensaver or sent mail to support but still did not get any response. I downloaded the new version of my screensaver but it does not accept my old registration info. I just received the registration info but my screensaver doesn't accept it. 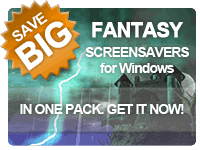 I downloaded and installed your screensaver but it won`t work and keeps showing a "Could not create main window" or similar message. Your screensavers are very slow and jerky. 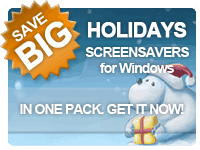 I downloaded and installed your screensaver but it won't run or says a "Required .DLL file D3D8.DLL was not found". I have downloaded your screensaver but I don't have any sound. I've paid for your screensaver. Is that for a month or a year ? How to remove some program from my computer. It is possible that you entered invalid email address while ordering or your mailbox has temporary errors. Please check your SPAM mail folder and try to contact us from another email address. Please contact us for upgrade. Please follow the instructions from your registration email and use the proper screensaver's version from our site. If your code includes "I" character, please make sure to enter it as uppercase "i". It would be better to copy/paste your code: select the code by mouse then right-click it then select "copy" from popup menu. After, right-click within the code input field of registration dialog and select "paste" from popup menu. Then press Ok button to complete registration. Note that your system must be equipped with 3D video card. Please try to play with video mode settings from within screensavers config.dialog. 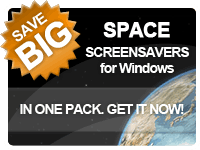 Try 640x480x16, 640x480x32 and "use desktop settings" option sequently. Finally, make sure that the latest video drivers directly from video card manufacturer installed in your system. Please be sure to install the latest video drivers directly from your video card manufacturer. The internal Windows drivers may not support hardware accelerated OpenGL. Just upgrade your DirectX to the latest version from http://www.microsoft.com/directx . Please check if the latest sound drivers are installed. Also, please try to decrease sound hardware acceleration strength from within DirectX setup or sound drivers. Finally check if sound enabled from within screensaver's settings. This is one-time payment without any time restrictions. 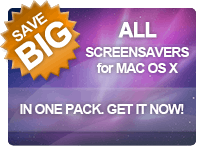 You will receive the screensaver's registration and all future upgrades for free. You may remove it in two ways. First, go to Start menu -> Programs, locate the program's folder and run uninstaller from within it. Otherwise, remove it from Control Panel -> Add/Remove program menu.